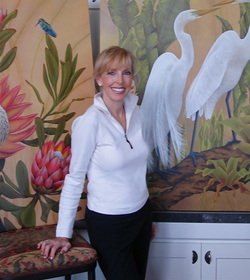 Marietta Bajer was born in Kraków, Poland in 1957. When Marietta was six-years-old, her father defected to the United States for a University of Oregon professorship in biology. Three years later, her family left everything behind and immigrated to Eugene, Oregon. Marietta’s parents, both biologists, steered her toward “being a doctor of some kind” as a profession. She graduated from Oregon Health Sciences School of Dentistry in 1984 and joined the U.S. Navy as a direct commission officer. The three years she spent at the Marine Corps Recruit Base in San Diego provided her with a wealth of dental experience and welcomed the birth of her two daughters Elena and Nicole. After eight years of private practice in Forest Grove, Oregon, she established her practice in Bend in 1997. She has since enjoyed her practice of dentistry and all the amazing activities that Bend has to offer. Dr. Bajer is a recipient of two awards given by the American Academy of Cosmetic Dentistry, hosting the largest international cosmetic dentistry competition of its kind. Her smile makeovers are seen on the Caesy Patient Education videos in dental offices around the world. Dr. Bajer's passion for her work, innate artistic ability, and love of people, shows in all aspects of her practice.